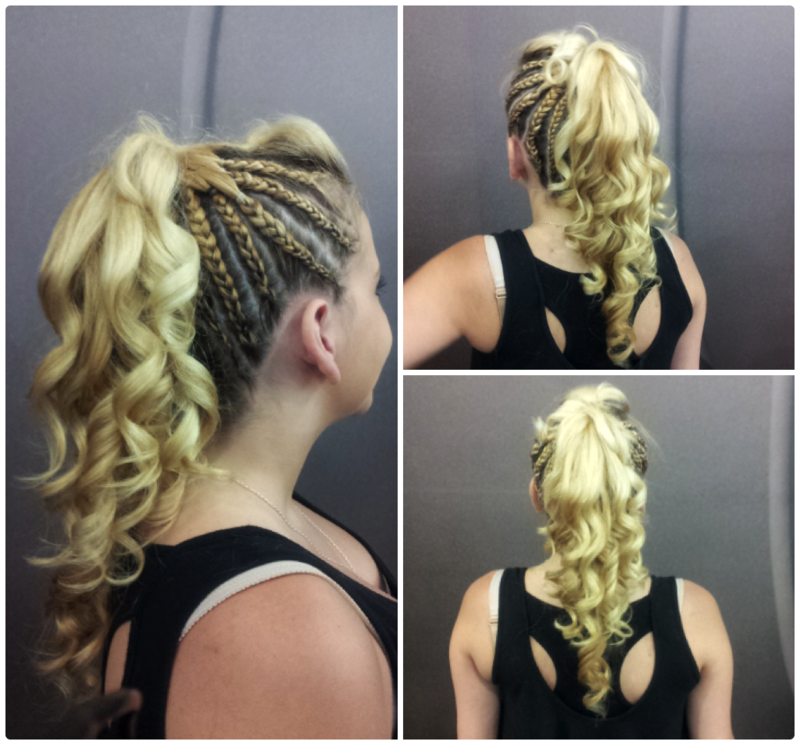 Now that your hair is being protected – lets talk summer styles! This is a super quick and easy “done” yet “undone” look. It’s cute with no fuss and leaves your neck and shoulders open to the air making it a bit more comfortable in this hot summer sun. Couldn’t be any easier. 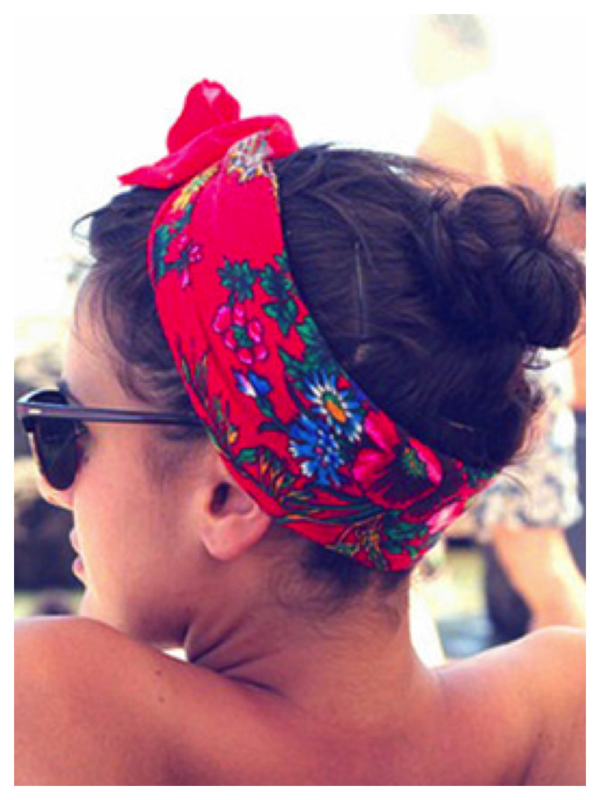 Find a cute hair wrap or scarf, then knot it towards the front of your head. 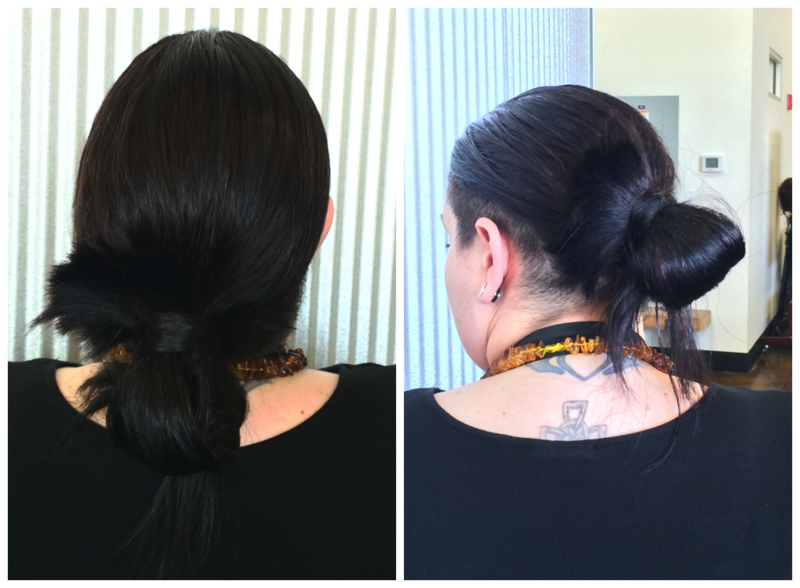 Throw your hair up in a messy bun – and you’re done! 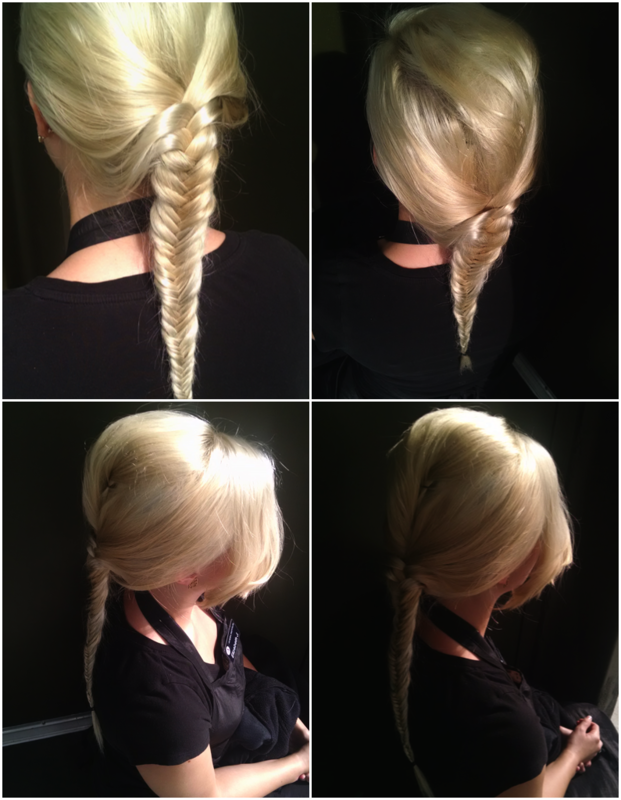 This is a simple braid to do, but looks like you spent hours on it. Let’s your neck breath in the hot sun, but still gives you style. Elegant. Chic. Great for a night out when you still want to look your best, but also want to avoid the humidity of Summer nights. This is just a very simple ponytail, but with an added pop of style. 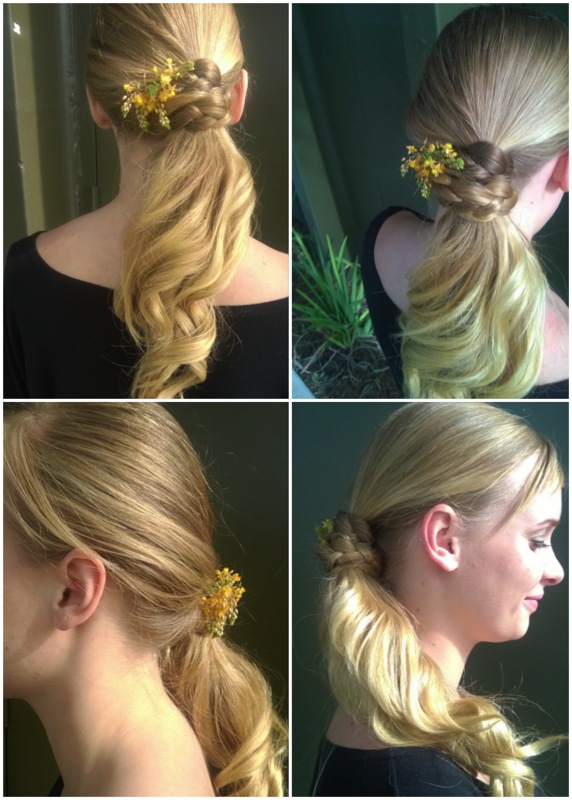 The top and front of the hair looks like your average sleeked back pony, but the back has an elegant braid knot dressed up with some summer flowers. Give it a little curl and your ready to go out in style no matter hot hot the Summer day might get.